With all this leakage from Christopher Nolan’s upcoming Batman movie, “The Dark Knight Rises”, I figured this would be a great time to go back and not only revisit the story that will serve as the basis of the movie, but one of my favorite characters as well. 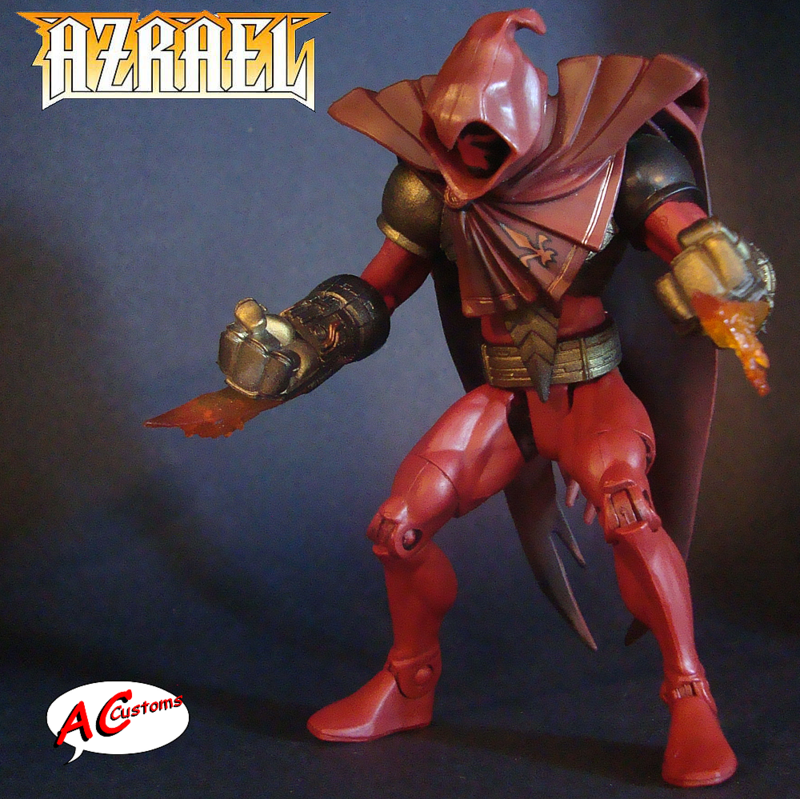 The story of John Paul Valley, aka Azrael, may never be told in cinematic form, but Azrael remains one of the coolest characters and costume design in the history of comics. Making his debut in ‘Batman: The Sword of Azrael’ and later going on to replace Bruce Wayne as Batman after Bane broke his back, Valley segued to the bat and remained for nearly 2 years. Since then he has supposedly “died” in his own comic, and there have been several iterations of him over the years. The curiosity is certainly still there. So here we are. This one is more of a well needed modification than a custom. 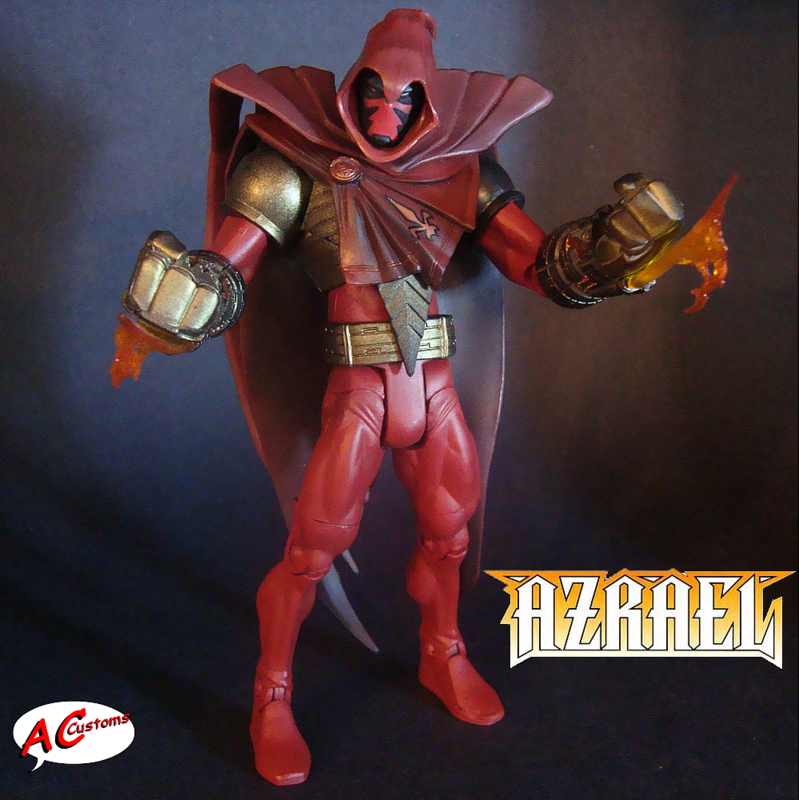 The DCU “Four Horsemen” made a pretty detailed sculpt of Azrael, but really dropped the ball when they gave him those spaghetti legs that wouldn’t allow the figure to stand up straight, so I replaced them and gave his paint job a brighter touch up. Their design was more gargoyle; I made him more superhero. Now if I could just figure something out for his neck! Enjoy! 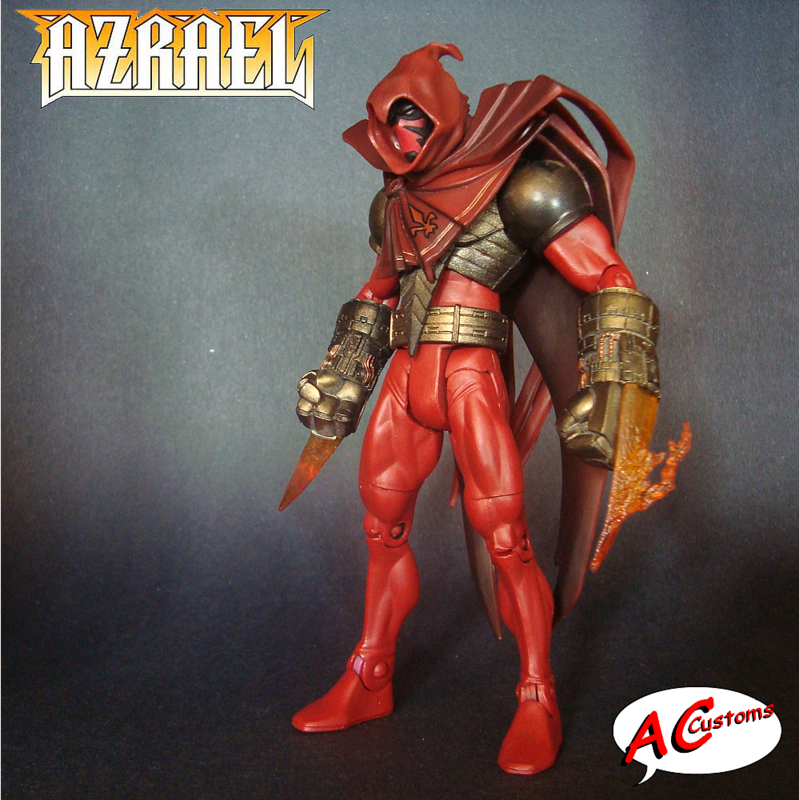 Posted on August 8, 2011, in DC Comics and tagged batman, custom figure, dc universe classics, john paul valley, sword of azrael. Bookmark the permalink. 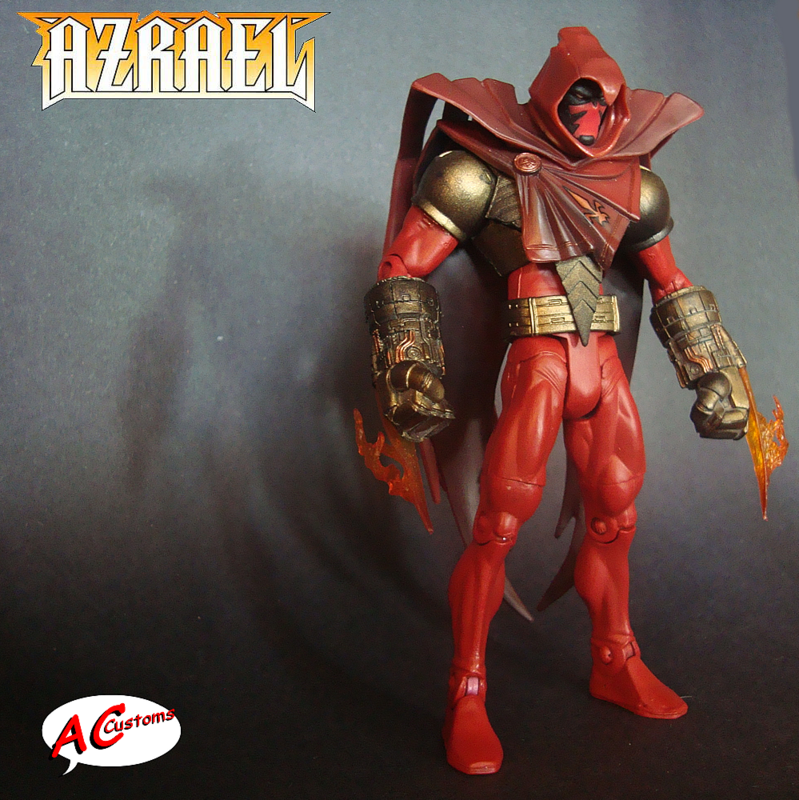 Comments Off on “Batman: Sword of Azrael” John Paul Valley.